Top 5 Crown Dingbat Fonts: Great Resource for Scrapbooks, Invitations and Other Design Projects! The amazing thing about dingbats is that they are just used in the same way as any other font, only instead of being presented with letters and numbers, you get the most amazing images. Some dingbats are fun and cartoony, just like clipart, and others are as detailed images as you would find in a book. Once you've downloaded the fonts, using our links section at the end of the article, you can then use them in whatever royal project takes your fancy. 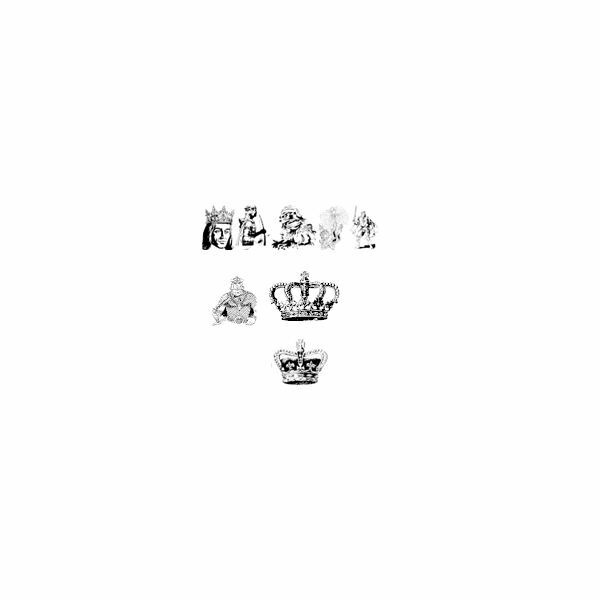 There are two collections of fantasy clip art in this series, and although they don’t predominantly feature crowns, by using the two collections together, you’ll have use of some regal kings wearing crowns, or just detailed crown images on their own. 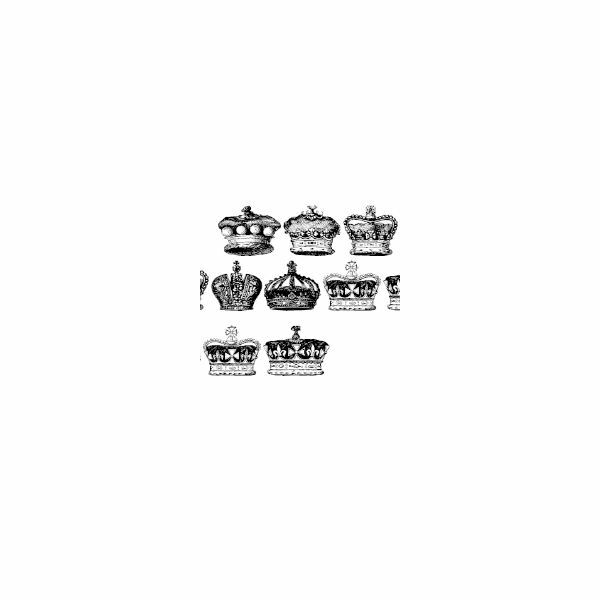 The crown dingbats in this collection are very detailed, so you could easily use them at a higher resolution for adorning the cover of a school project on royalty. Or why not use them in conjunction with one of our top gothic dingbats to grandly announce a forthcoming Medieval or Renaissance fair? 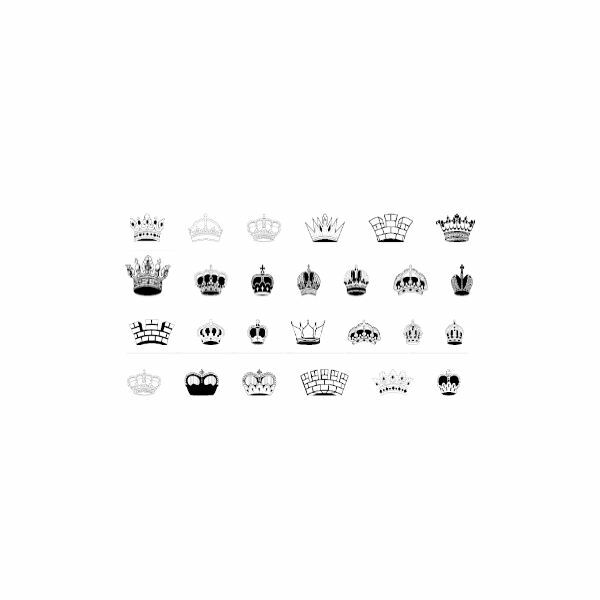 For the ultimate collection of crown images, Intellecta Crowns has got all the bases covered. Each letter of the alphabet is allocated its own dingbat, in both upper and lower case—lower case images are just smaller versions of their upper case counterparts. With these 26 basic dingbat crowns you have every style you could possibly think of—there is even a crown that’s made to look like the battlements of a castle. The detailing is superb too; click on the image to see what I mean. The 21 characters featured in this dingbat collection, Crowns and Coronets, are as detailed as you are going to find anywhere, never mind the fact that it’s a dingbat font. I have only shown a handful of the available crown images here, so you can get a better idea of the quality we are talking about, but there are certainly plenty to choose from. If you want an image reminiscent of the Kings and Jacks found on playing card designs, then there’s a couple of those thrown in, too. You have the detailing you would be pleased to find in a book, and that would certainly be detailed enough for a school project, maybe on the forthcoming Royal wedding in the UK of Prince William to Kate Middleton. In fact, if you want the images for this purpose, then take a look at the collection of images of Prince William as a dingbat font detailed in the references at the end of the article. images. 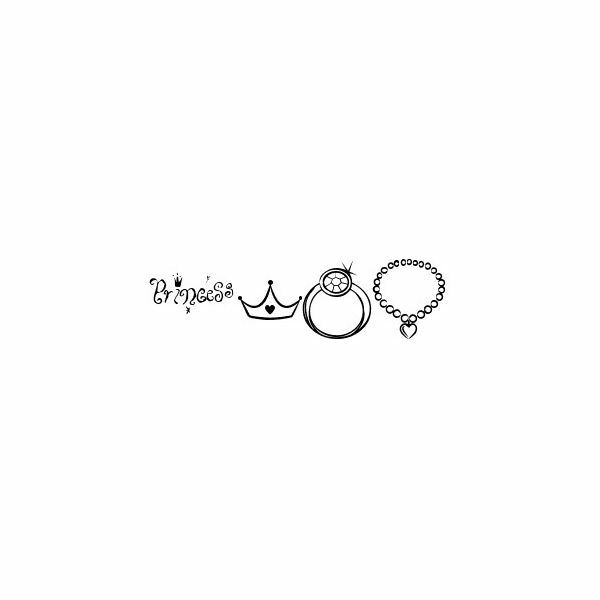 And the Princess and Princess 2 collections take care of junior royalty admirably. 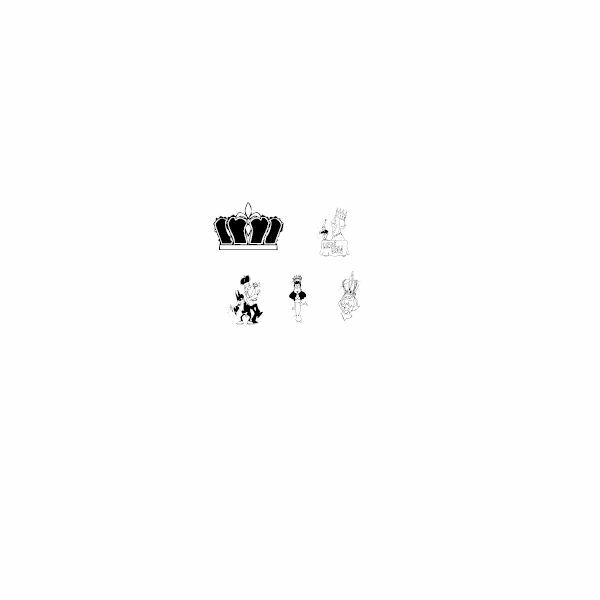 OK, so there aren’t that many crown images within these collections, but by using the two collections together you have a choice of some great tiaras, crowns and other princess jewelry. images to be had. Use them to advertise your town’s carnival, a school play, or papercrafters can use them to design an amusing greeting card. As well as typical images of masks, jokers and musicians from the parade, you will find some wonderful crown images, as well as some fun cartoon king and queen images. Dingbats are extremely versatile fonts that let you take the scalable properties of traditional typefaces and apply them to great images and clip art. This series describes, in more detail, how to use these tools and helps you find your own free dingbats to download.